Custom Stonework Kitchener | Home | Canadian Landscaping & Stonework Inc.
Take a look at the exquisite, custom handcrafted stonework we have done for our highly satisfied clients. Whether it’s personalizing your landscaping or even adding that extra touch of luxury – your home deserves it! We provide exceptional landscaping services around your one-of-a-kind designed stonework. We are highly recommended and trusted in the community, highly recognized by the Better Business Bureau (BBB) and consistently referred by our valued clientele. 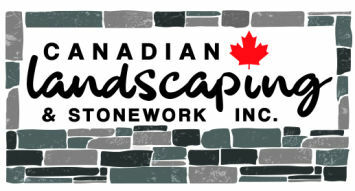 Passionate About Landscaping and Stonework? If you are a dedicated, reliable, hard-worker who is interested in the landscaping and stonework industry we would love for you to join our team! Canadian Landscaping & Stonework Inc. is a local, family owned, small business serving Kitchener-Waterloo, Guelph and surrounding areas for over 32 years. We specialize in one-of-a-kind stonework and landscaping, which is expertly designed and utilizes the finest materials available in the industry. Our experienced craftsman take extreme pride in accentuating your home’s unique beauty with the personalized elegance of custom, superior quality stonework and landscaping services. Additionally, to our stonework services we are pleased to combine landscaping services. We can create custom landscape features such as gardens, waterfalls, fire pits, outdoor barbeques and more which will compliment your handcrafted, custom made stonework. Call us if you have any questions or send us an email to request a quote. Talk to our professional landscapers about the vision you have. Send us some information about your home and your requirements. For superior customer service, custom creations, and expertly managed projects, call or request a quote from the professionals at Canadian Landscaping & Stonework Inc. today! Kitchener-Waterloo, Guelph and the surrounding areas.